Hi guys! With back to school just around the corner I'm excited to share I'm partnering with Hostess to share their latest #twistontwinkies! 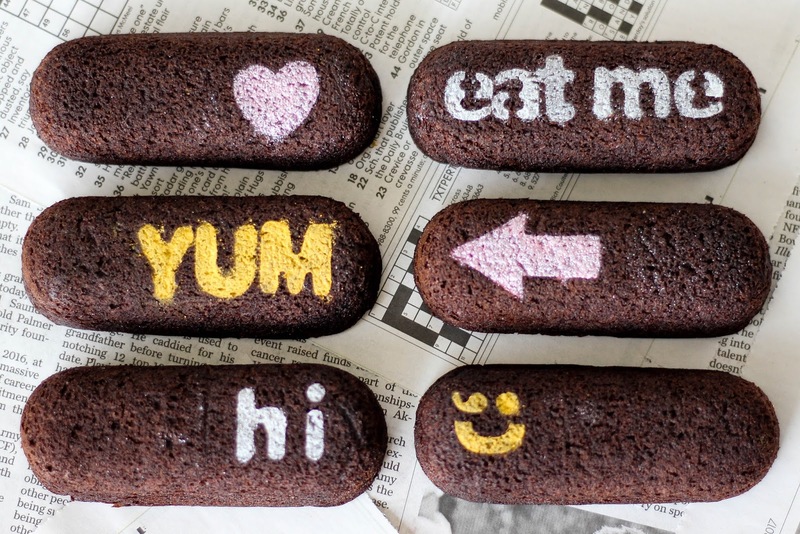 The chocolate cake Twinkies are my favorite because you can never go wrong with chocolate cake. Check out their fun Facebook page here to see their latest innovations! 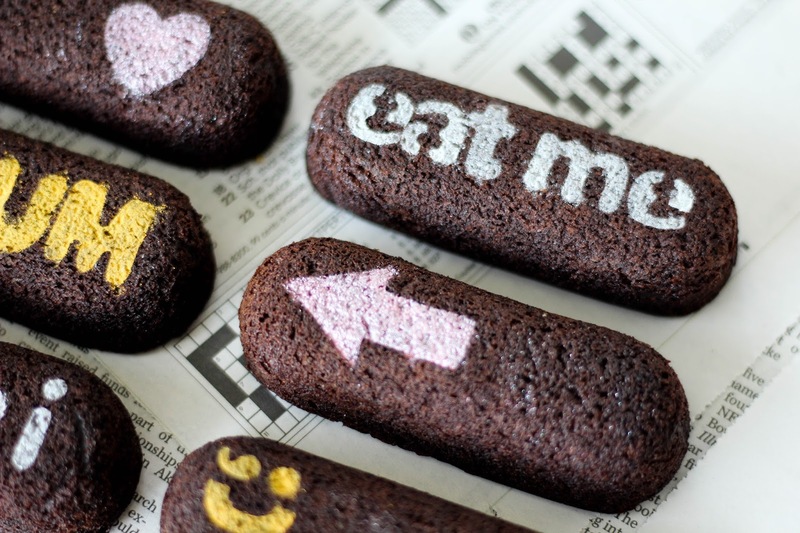 Your favorite snack just got a whole lot better with a little edible glitter (from your local craft store), a paint brush and stencils! 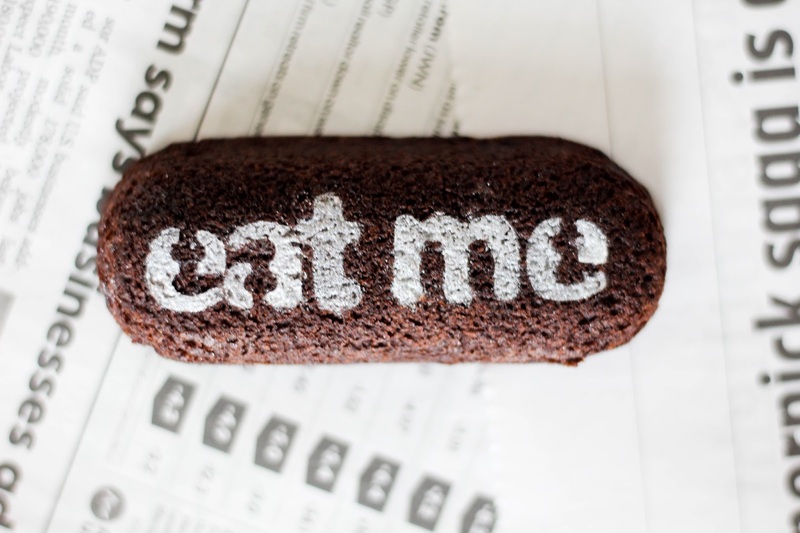 With Twinkies latest creations, the fudge covered Twinkies and the chocolate cake Twinkies, the possibilities are endless. 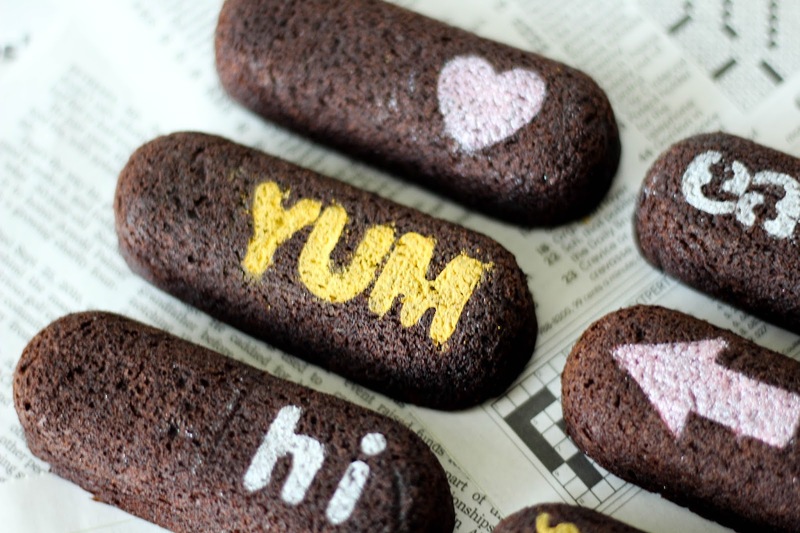 This simple twist on Twinkies from Hostess is what afternoons are made of and with your little people headed back to school your love notes just got yummier! :) A quick way to send cheer to the neighbors, get a laugh out of your five-year-old and spoil the ones you love the most! 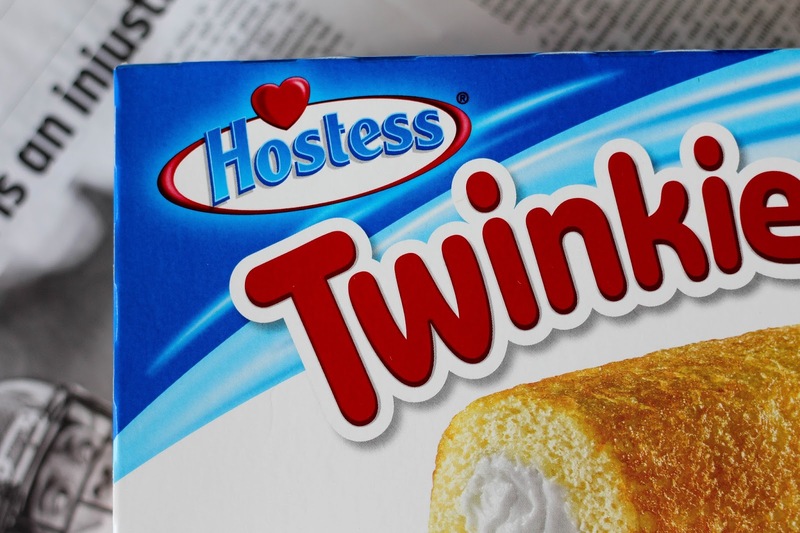 Celebrating the little moments with Twinkies will be your new favorite snack! What! 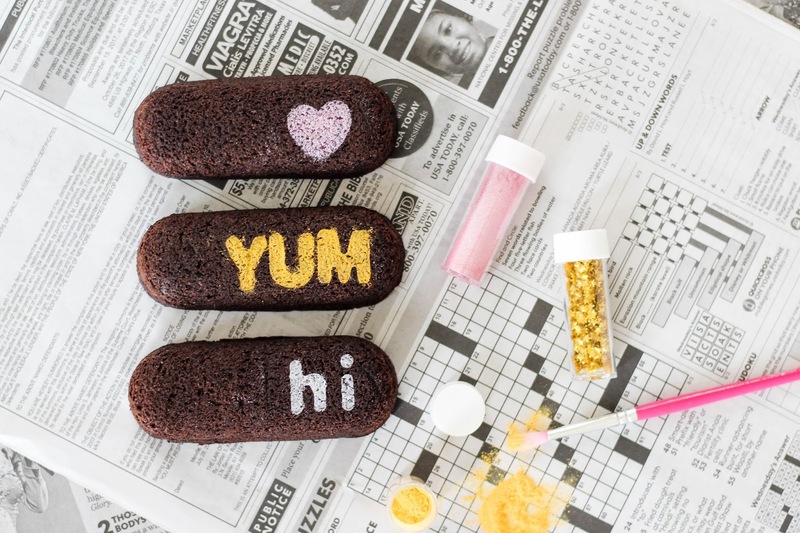 I had NO IDEA you could do this with edible glitter. Love it.